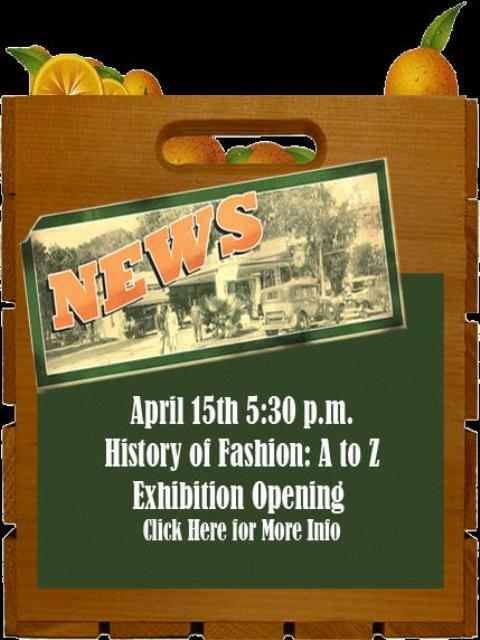 Exhibition Opening at the Maitland Historical Museum! 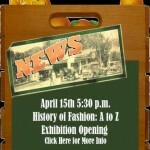 “History of Fashion: A to Z, is the latest exhibition to open at the Maitland Historical Museum. The exibit is based on a book written by society member Sue Dyer, and will include an alphabet sampling of fashion. The opening reception is tonight! Author Sue Dyer will also speak April 28th at noon at the Cottage at Lake Lily. Call 407-644-2451 with questions or to RSVP. This great museum is just a few minutes from Central Florida’s premier bed & breakfast, Thurston House!